While we were out at TX2K one thing that was obvious was the number of top-level builds sitting on the property at Houston Raceway Park. There were some awesome roll race cars as well as drag cars and unfortunately we couldn’t talk to all of the owners. We did manage to get some quick interviews in between rounds and a few details on some of the cars that we thought were impressive. 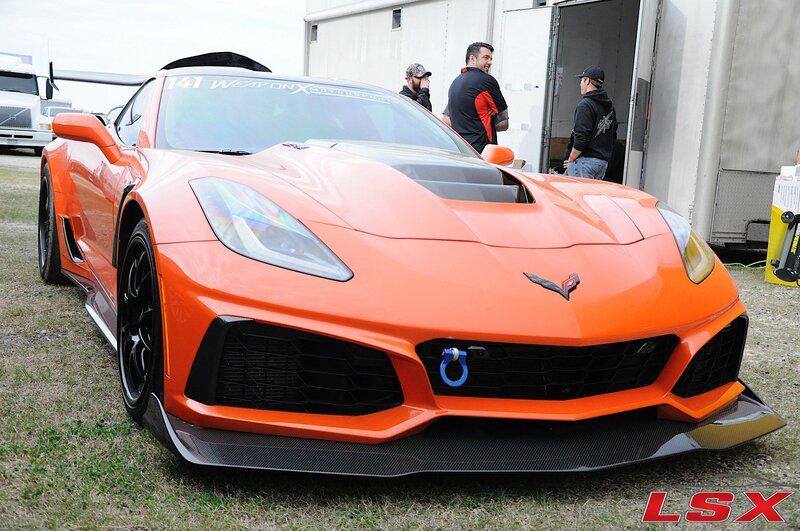 Ryan Lewakski’s 9-second bolt-on C7 Corvette Z06 was rowdy at TX2K. With the good Texas air, this Whipple superchargerd car was ready to make some serious power. Justin Seimens brought his pearl white C6 Z06 Corvette which he has owed for four years now. The car had made an appearance at TX2K in the past when it was yellow, and Justin admits it got more attention with the bright color. While the white paint might have subdued the car a bit, when you pop the hood on this beast a crowd will flock around the C6. The engine consists of an LSX block stuffed with all of the goodies like Diamond Racing pistons, Lunati Pro crankshaft, Gwateny Performance Innovations boost cam and Oliver billet rods. The 441 cubic-inch mill uses 1/2-inch head studs to make sure the GMPP LS7 ported heads keep the 28-pounds of boost in the engine that the ProCharger F1X generates. A Holley Hi-Ram sits on top of the heads which peeks out of the C6 hood and uses Injector Dynamics 2000cc injectors to deliver the E70 fuel. Justin is still running a stock differential with a torque tube rated at 1200 horsepower and an RPM Level 7 transmission. A Mantic Clutch USA triple disc clutch is used to get the 1471 horsepower and 1200 lb-ft of torque to the drivetrain effortlessly. Weld wheels and M&H Racemaster tires are called upon for roll racing duties at speeds well over the 175 miles per hour mark. He says that it is a street car and he has put over 600 miles on it going to a single car show last year. Unfortunatly, Justin had a few complications racing during the week that possibly kept the number two qualifier out of the finals. The first problem for qualifying was the throttle body. Texas Speed and Performance came to the rescue with one of their 102mm throttle bodies which fixed the problem. Then during the first round of eliminations, the ‘Vette blew a boost coupler which ended the race for Justin and his shot at winning. 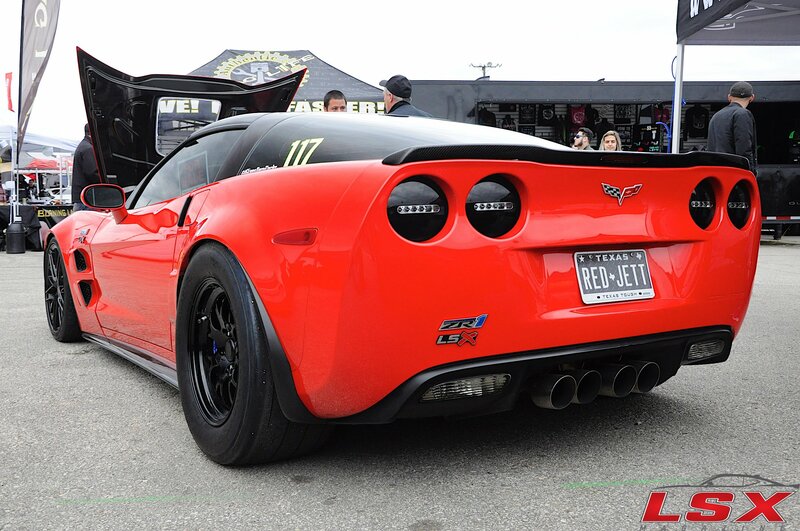 Tim King of TK Performance and Auto showed up with C7 Corvette Z06 from Dayton Ohio for Tx2K. According to Tim, his fastest pass to date was 8.44 at 161 miles per hour. This was accomplished with a stock bottom end, stock transmission and no nitrous. Over the winter the pulled the ProCharged engine and dropped in a Late Model Engines (LME) 390 cubic-inch powerplant with the same F1X Procharger and made 1400 horsepower effortlessly. Tim decided to stop there on the power in hopes the factory transmission would live. Tx2K was the crews first outing with the new combination and they were hoping to get some good passes in. Unfortunatly, another stub shaft broke immediately as the car tried to launch. Tim had another shaft sent out, and they thrashed on the car to get it back together only to break again on the next outing. 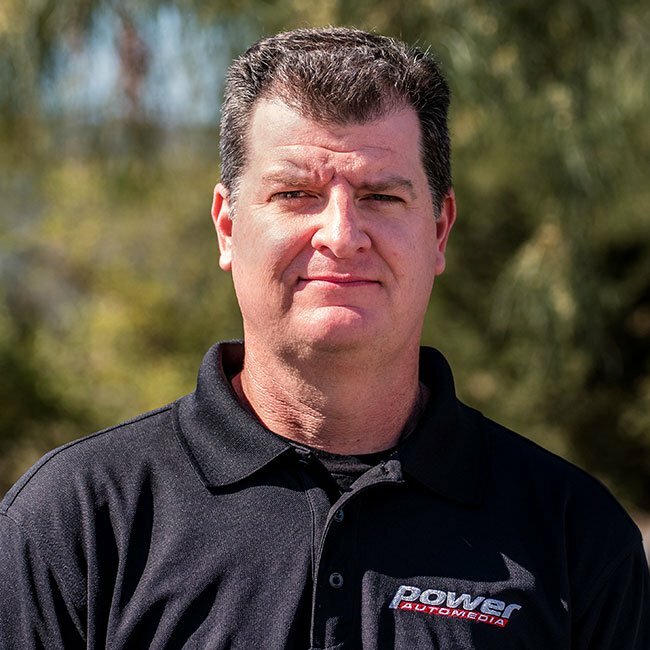 Tim is not planning on abandoning the 8L90E transmission and is working with a company to provide a billet unit that with harness the power of this rowdy ‘Vette. We will keep you posted as Tim sorts the car out with the new parts. 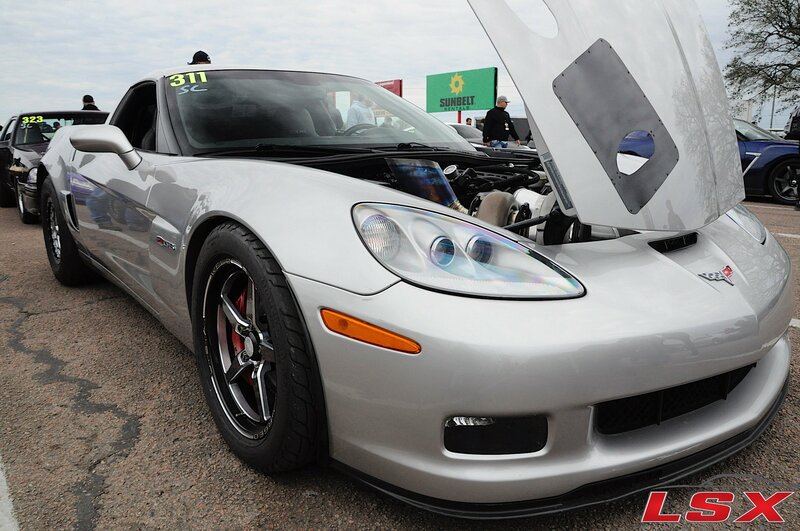 If you are on the market for a killer car to compete in roll racing at TX2K, you need to check out James Sawyer’s ZR1. This car is for sale and listed on 500 Plus Horsepower’s Facebook page. The C6 is super clean and well maintained, and the list of aftermarket parts is ridiculous. The ‘Vette has had three different engine combinations with the current engine being the most powerful. 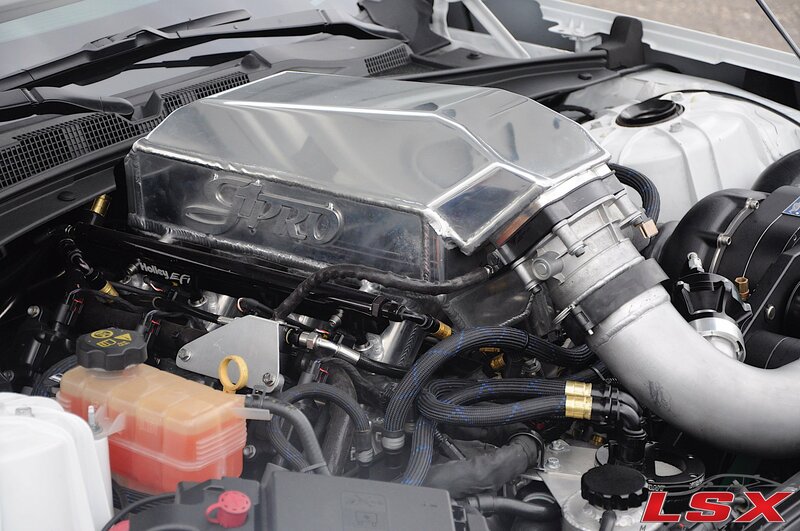 The LS9 was removed from the ZR1 and replaced with an LSX block 427 built by H-Squared Racing Engines in Houston Texas. This 7-liter cranks over 1,500 horsepower and 1,200 lb-ft of torque at the wheels. 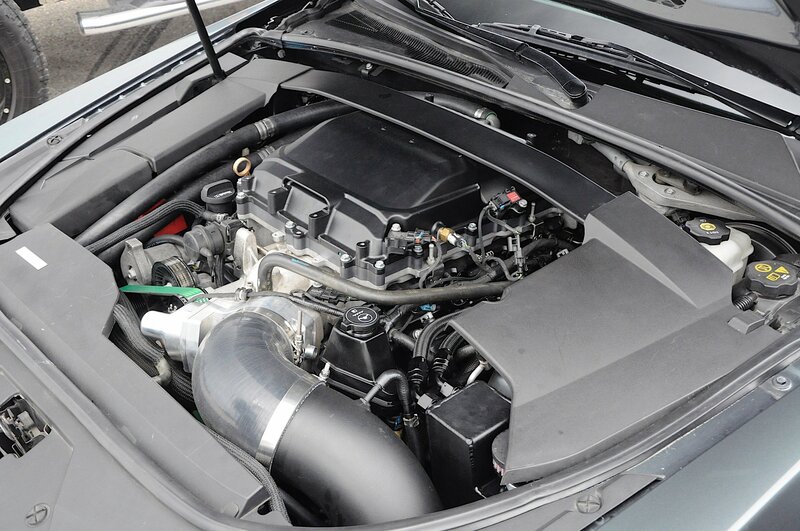 The ProCharger F1X is forcing 32-pounds of boost into the engine and uses a Haltech ECU to accomplish this feat with E85. don't have words to describe this one! 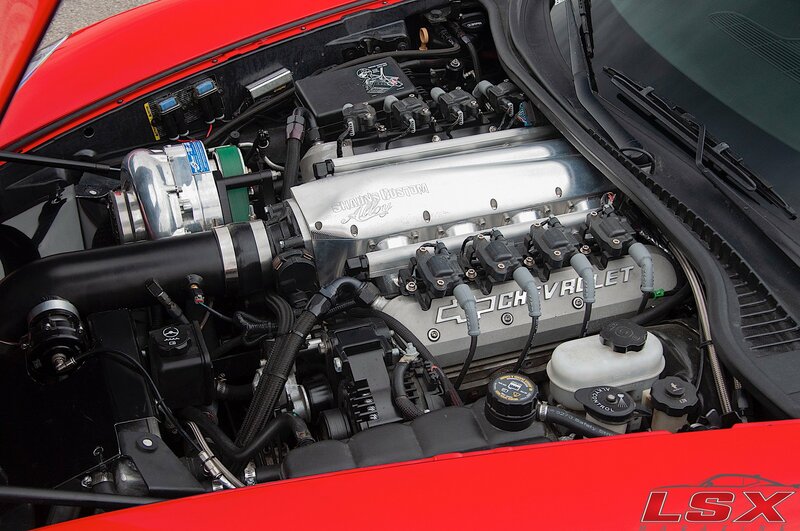 James’ ZR1 was one of the cleanest cars on the property, and if you are seriously looking for a high-powered vehicle, you will not find a nicer one. If you are interested in the car, click here for more information and a detailed parts list. Duane Biddle, owner of Biddle Motorsports also showed up to Tx2K with an untested car. In just five days Rhys Spear’s C6 know as SideChickZ06 on instagram went from a roller to an 8-second race-ready machine. The Ochs Performance built 427 cubic-inch engine has a custom ground Texas Speed and a Performance camshaft and forged internals. The turbo kit is from DMS and uses a massive gen-two Garrett 94mm turbo. All of the tuning was expeditiously handled by Pat G. The ‘Vette is set up with an RPM Transmissions Powerglide transmission, RPM Transmissions built differential and a PTC torque converter. LG Motorsports billet 15-inch spindles were used to get the traction friendly 15-inch Billet Specialties wheels with Mickey Thompson tires on the rear. 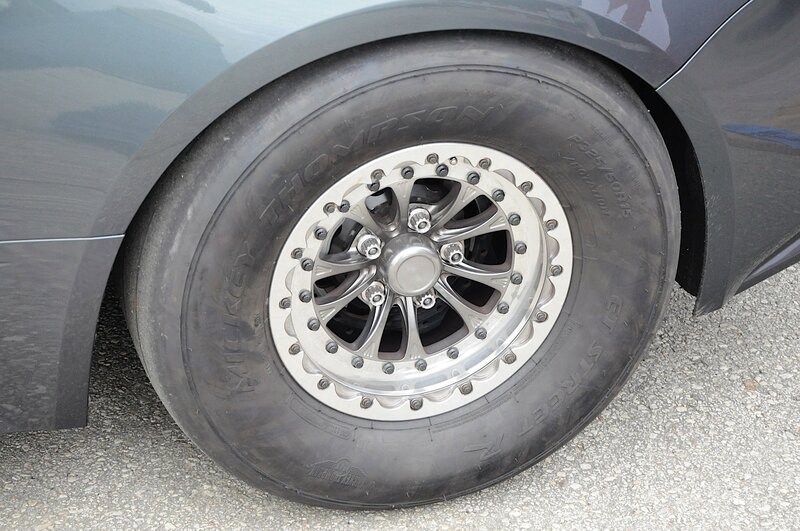 The front wheels on the car are Weld Racing units with Mickey Thompson front runners. 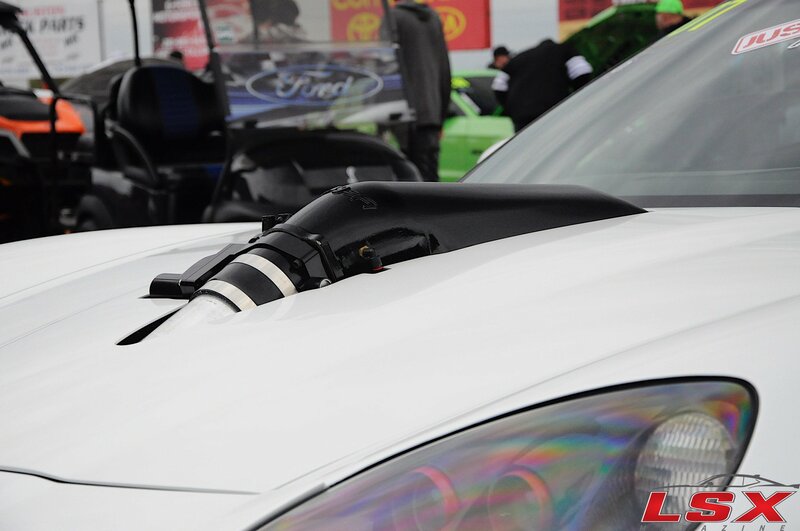 Duane handled the driving duties at the TX2K drag race, and the car went an impressive 8.592 at 166.83 miles per hour. With a 60-foot time of a 1.63, this car has some serious power and looks to be a low 8-second car with ease. Duane was eliminated from the drag race by way of red light. We suspect that five days of thrashing on the Corvette and lack of sleep might have taken a toll on the driver. Either way, congratulations to Rhys and Duane on a killer build. Ben Herndon, President of Weapon X Motorsports showed up to Tx2K with a couple of awesome cars. 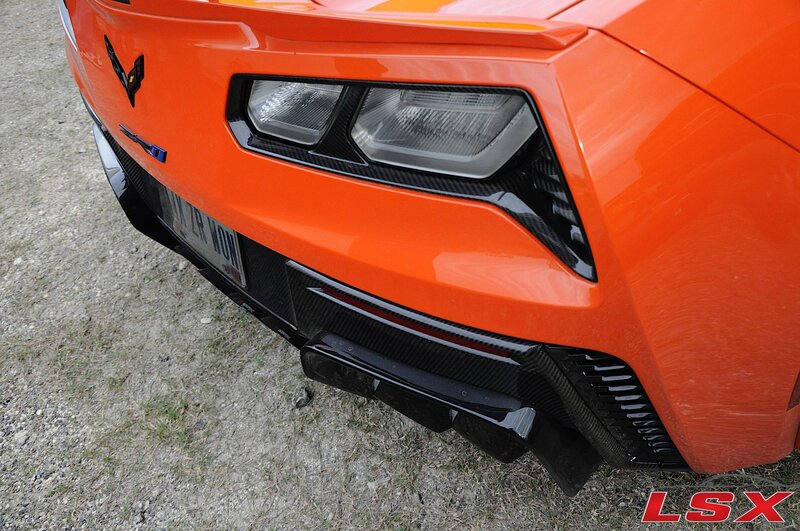 The first car was an orange ZR1 C7 with a huge wing and all types of carbon fiber goodies. The second car was the Weapon X Venom Camaro which caught out attention due to the aggressive wing, parachute, and DMN SLYR license plate. This ZL1 Camaro was a lot more radical in the engine bay than it appeares. The crew at Weapon X decided to do a compound boost setup which is a common modification in the diesel world but usually is quite tricky on a gas combustion engine. They got a handle on this combination with an 85mm turbo and the stock OEM blower, but the engine couldn’t move enough air. Ben decided to step up to the Eaton 2650 supercharger and a 94mm turbo. The supercharger pushes air through the turbo to help it spool and then goes through the Weapon X boost chiller. This chiller is another excellent product that Weapon X offers that utilizes the cars air conditioning system to take the edge off the hot compressed air. Using this setup, Weapon X has managed to get the water temperature in the chiller down as low as 17-degrees. According to Ben, the Zl1 made 1,300 horsepower and over 1,000 lb-ft of torque at the wheels on low boost. Unfortunatly the team was plagued with a throttle body issue and didn’t have enough time to get it sorted out for a solid pass. They plan to be at LS Fest with the car thoroughly tested and ready to rock. We will be there to see the car compete and are excited to get some more details on this monster. One of the great things about TX2K is that you never know what you are going to find. Sure you will see a lot of GTRs, Supras, Lamborghinis, and Corvettes but you might not expect to see an LS-powered 1936 Chevrolet truck with twin-turbos and a Holley Hi-Ram intake manifold. We talked to Andy from Piston-Heads Garage out of Katy Texas about their ’36 Chevy rat rod. Andy picked up the hotrod truck in Houston with the intention of just using it as a daily driver. After he got the truck he swapped in a 6-liter LS engine and a T56 transmission and drove it everywhere. As with any performance enthusiast, Andy got the itch to tack it to the track and see what the truck could do. This ignited the build and he kept changing parts on the truck until it became a race truck. The engine is still a 6-liter but the T56 transmission has been swapped out for Powerglide. The nitrous system has also been removed and has been replaced with a twin turbo setup. The ’36 now has a 9-inch connected to the frame by a parallel 4-link setup. The front suspension is straight out of the 1930s in the form of a solid front axle. Somehow the RC Components wheels and Wilwood brakes work on this truck even though they don’t have a vintage vibe. Andy still has to finish up the interior and a few other areas but hopes to have it track ready in a few weeks. So far this truck has run a best of 9.02 et at 148 miles per hour with the first engine and the nitrous system set on 150 horsepower. Andy expects the new combination to make 1100 horsepower and 900 lb-ft of torque on e85. He claims even with the I-beam front suspension the Chevy goes straight as an arrow. That might have been the case with the nitrous combination but this new one looks like it will be a handful. We can’t wait to see this sting at the track making sub-9-second passes. If you want to follow the build from Piston-Heads Garage, check it out on Instagram at Arsenic36. Cadilac CTS-Vs are everywhere at TX2K and part of this might is due to a new class. The latest addition to the race this year is the Heavy Hitter class which is geared to any car that weighs over 4200-pounds with a single power adder and factory transmission. CTS-Vs are a popular choice along with Chargers, Challengers, and we even saw a ProCharged Pontiac G8 in the mix. Antwaine Hobbs’ Cadillac is a killer. Even with a stock bottom end and bolt-on parts, this car is fast. Antwaine Hobbs from Round Rock Texas is solely responsible for this new class at TX2K. He made the suggestion the staff and then prepaid for all of the entries to guarantee that this class would make the car count. After he promoted it to his fellow racers, Antwaine generated enough interest to get over 20 competitors in the race. We have to admit that the 4200-pounds cars were a blast to watch as some of the mammoths yanked the wheels and ran in the mid to low 9-second range. 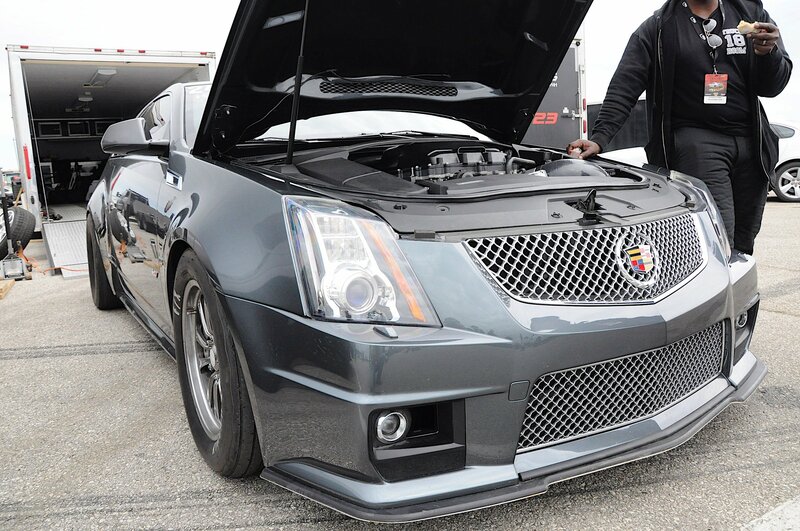 Antwaine’s CTS-V ran a best this weekend of 9.36 elapsed time at 147 miles per hour. This car still retains a stock bottom end with nothing more than a set of ported GM LS9 heads, air intake, factory ported blower, cam, running on E85. The car still uses the factory transmission as well as the factory torque converter. A nine-second pass is an impressive feat with a 4200-pound vehicle especially when it just has bolt-ons and a stock bottom end. 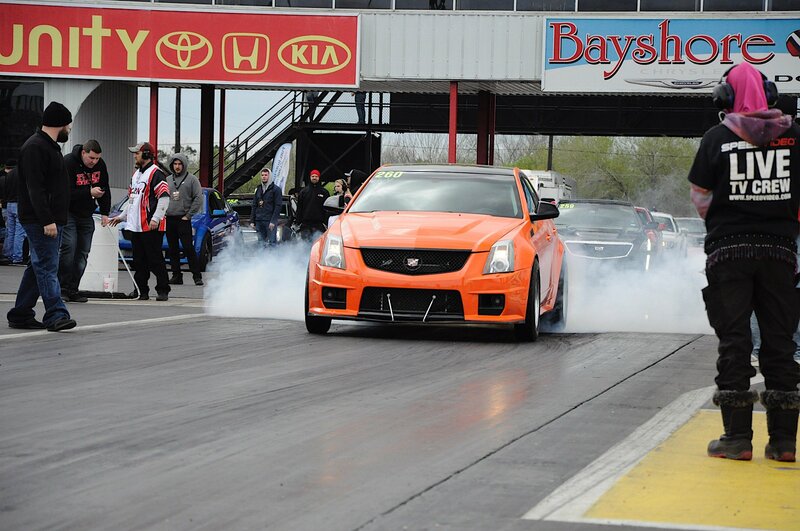 Jeff Garrison’s Whipple-powered CTS-V definitely raised a few eyebrows on his 10-second blast. This car will be super impressive once all of the bugs are worked out. Jeff Garrison is from San Antonio Texas with the only 2016 CTS-V V3 on the property at TX2K this year, and this car was immaculate. Jeff had all of the bolt-on components which seemed to be a common theme for the CTS-V crowd. He had the heads ported, added a cam, Whipple supercharger, larger pulleys, E85, axillary fuel system, air intake, and methanol injection. In addition to these mods, he was also running a Circle D Specialties torque converter. Plagued with transmission tunning problems, the car has yet to make a solid pass but has still managed to go 10.50 at 140. At 16-pounds of boost, the V3 produced 900 horsepower and 1040 lb-ft of torque. This car is Jeff’s daily driver and has just over 60,000 miles on the odometer. Beverly Feaster with a wheels-up launch ran a personal best of 9.29 at TX2K in her purple CTS-V.
Beverly Feaster of Dedicated Motorsports out of Weatherford Texas was piloting her CTS-V in the Heavy Hitter class as well. The car has a Kong Performance ported blower and air intake, ported heads, cam, aftermarket exhaust system, 1700 Injector Dynamics fuel injectors, upper and lower pulley, ice tank to cool the blower air charge, LSR block, Driveshaft Shop axles, and driveshaft. The car weighs in at 4230-pounds with the factory seats removed with a race seat replacing the heavy drivers unit. This car had no problem yanking the wheels all weekend, and it sounds very, very angry when the throttle snaps. Beverly and her crew made some adjustments and hoped to better their 9.29 pass in eliminations. Felicia Smith making a pass at TX2K in her bright orange CTS-V.
Felicia Smith out of Oklahoma City Oklahoma was another female racer driving a killer looking orange CTS-V in the Heavy Hitter Class. This max effort LSA engine still has the factory blower as well as a stock cubic-inch built bottom end. Like some of the other competitors’ vehicles, Felicia is running an upper and lower pully for an increase in boost while on E85. The car also has methanol injection as well as a Nitrous Express nitrous system which could not be used in this class. 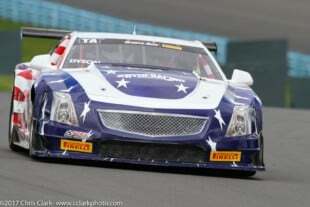 The Cadillac has a ported blower, heads, and has run a best of 9.60 at 146 miles per hour at a race weight of 4250-pounds. We are willing to bet that this class will continue to grow and due to its popularity and might even be split into multiple categories. It was an impressive sight to see some of these cars launch with the wheels up, and we couldn’t get enough of it. TX2K never disappoints and today was no exception as hundreds of car rolled through the gates for some drag racing action. When the event opened, the racers were unloading their cars and headed straight to the staging lanes for round one of qualifying. As the event goes on more and more LS-powered vehicles are showing up, and that’s ok with us. We haven’t seen as many CTSV-S as we had hoped, but there is no shortage of Corvettes on the property. 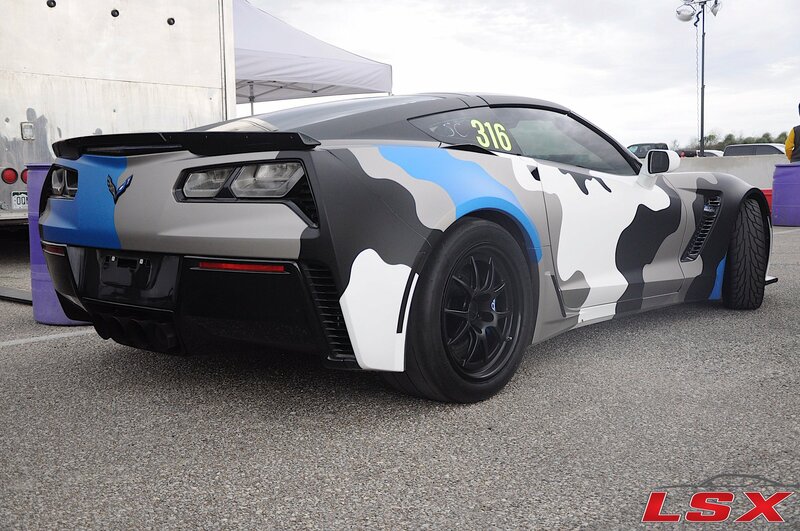 Ryan Lewakski came all the way from Denver Colorado to TX2K with this C7 Corvette Z06 for the drag race portion of the event. The Corvette is a bolt-on only car, and they are trying to run in the 8-second range with the factory engine a drivetrain. According to Ryan, ” We are really trying to push the stock GM parts on the car and see what it’s capable of running. Right now we are using the stock engine, stock transmission, and the stock rear end. We’re trying to put this thing in the 8’s by strapping on a bunch of nitrous and a bigger blower.” You can’t deny the fact that the Whipple Supercharger which replaced the LT4 unit isn’t a “bigger blower.” To make room for the new blower, the guys had to cut the cowl, and you can see where the hood is rubbing the ever so slightly. 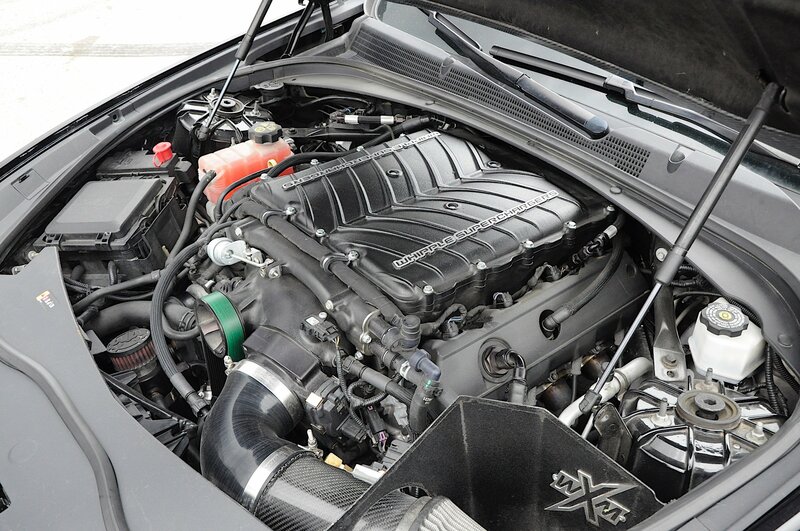 The nitrous system on the Z06 is made up of several different parts from various nitrous manufactures. The car has two Nitrous Express composite bottles with a set of Nitrous Outlet billet bottle brackets. The supercharger lid was sent off to the guys at Nitrous Outlet for a custom spray bar installation to help cool of the air charge while adding a little more power. 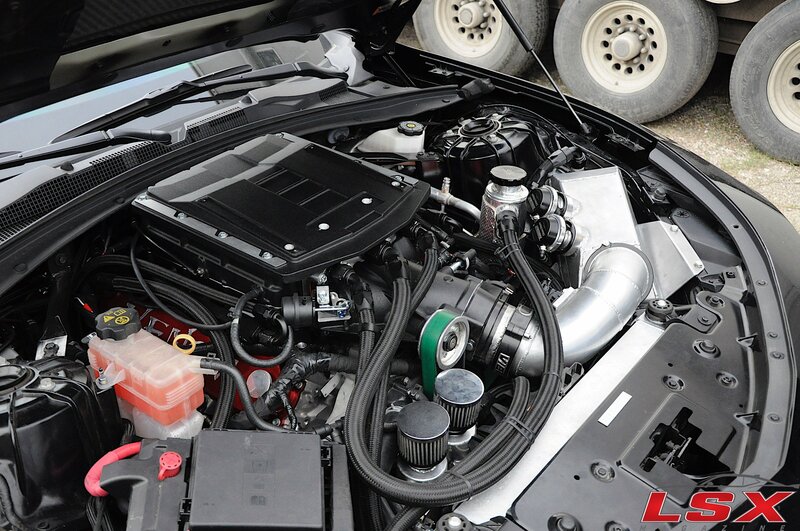 The system is jetted for 200 horsepower and controlled by a NOS mini progressive controller. 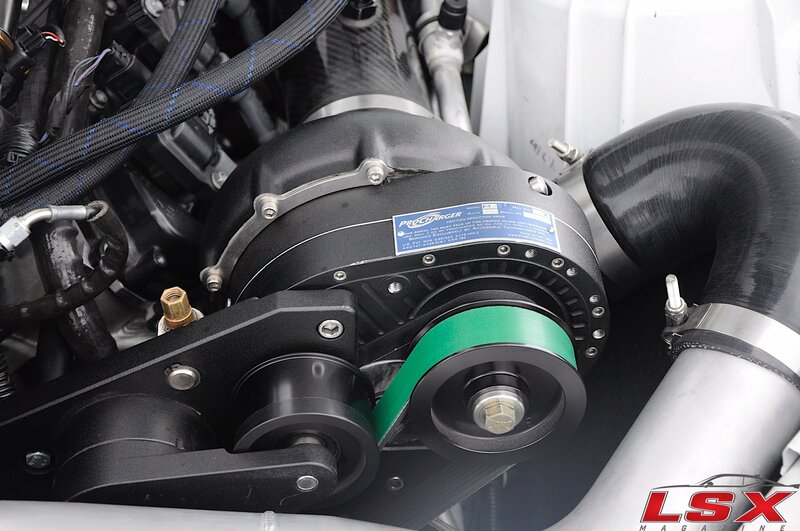 When the system is activated, a Lingenfelter LNC-2014 pulls timing out of the tune to make sure the system is safe. The only issue that Ryan has had with the nitrous is a a fouled spark plug which say a lot about the system since he has put at least 60 bottles through the car. 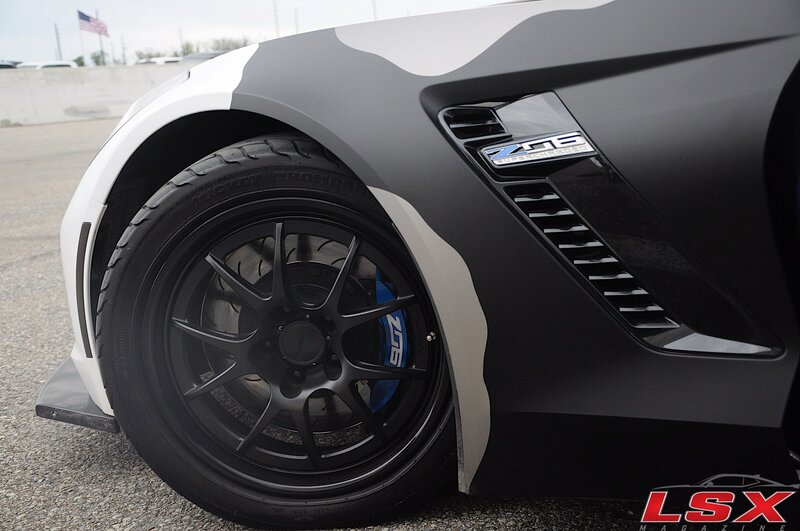 The camouflaged wrapped ‘Vette definitely stands out in the sea of GTRs at TX2K and the black Forgeline wheel look right at home on this combo. We are hoping Ryan cracks the 8’s this weekend, but we will have to wait and see if the factory parts hold up. As we cruised around the property, we also spotted a clean Camaro in the crowd. The white sixth-gen Camaro of Eric Warren was at the back of the lot and had an enormous LT1X G1Pro sheet metal intake protruding out of the hood. At a glance, it is evident that this car was all business and it was more apparent after we talked to Steven Rankins who originally built the car. The LT engine is still the stock bore size and houses the factory GM crankshaft. CID heads now replace the LT1 pieces along with a set of CP Carillo forged pistons and rods. This combination coupled with the F1A-94 ProCharger and a Nitrous Outlet dual bottle system cranks out over 1000 horsepower to the wheels. The nitrous system is only jetted for 100 horsepower, but it actually makes 170 horsepower when called upon. The fuel of choice for the Camaro is e85. While the car still utilizes the factory ECU for the direct injection, a Motech ECU adds additional fuel when the boost hits. This method allows the car to operate like stock until more fuel is needed. Dual Walbro 450s are mounted in a surge tank which supplies the multiport injection on the manifold. The custom roll cage is certified for 8.50’s and is a real work of art. The main hoop disappears under the headliner, and the rear down bars can’t even be seen due to the fact they are hidden under interior panels. The welds are immaculate and at first glance it’s hard to tell that they are welded. The only thing that doesn’t look stock in the car is the Corbeau seats the five-point harnesses. 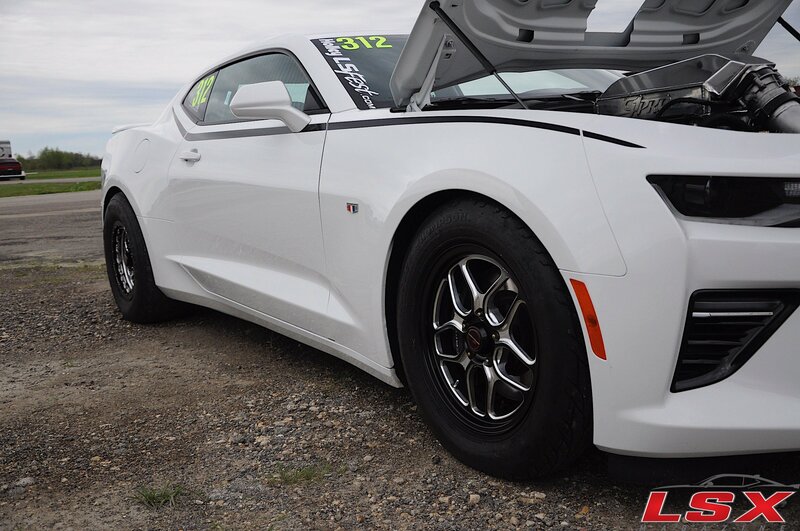 The driveline in the Camaro is an 8L90e, and Steven told us they worked with Circle D Specialties on the torque converter for this particular setup. 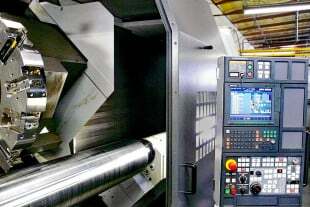 He is also currently working with a clutch manufacturer to get a custom clutch set for the 8L90e transmission, and they are close to having parts to test. 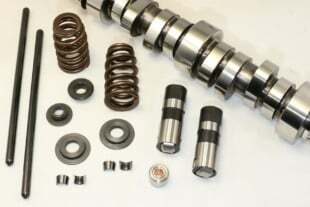 That is good news to the guys that are racing these transmissions. The car still uses the factory independent rear suspension with the addition of Driveshaft Shop axles. The Camaro has run a best of 8.88 with a 1.3 sixty-foot time at a race weight of 3950. With over 6,000 miles on this engine, countless dyno pulls, and who knows how many passes at the dragstrip, it just goes to show that the LT platform is a force to be reckoned with. We hope to catch this car in action soon.